What are the additional costs of sending? Other small & lightweight items under € 50,- that can be sent in an envelope by regular mail cost in Belgium and the Netherlands € 6,00 in the European Union from € 9,00 and for the rest of the world from € 10 to € 15,00. Contact us if these options are not to apply to your purchase at the cart, and you want it sent as letterbox mail. Get the products you want the way you want! Pick up your purchase at our local studio. Choose this option at the checkout and save sending costs! We will notify you when the product is ready. Unfortunately, we do not have pick-up points abroad. Because we don’t want to waste material most products are made to order at our studio in Rotterdam. So it will take from 1 to 3 weeks to make and sent it to you. Of course, we will do our utmost to make it as quick as possible, and we will notify you about the progress. In case you desperately need an item on a specific date, please let me know! Can I easily return my order? It is not a problem at all to exchange or return items like Bags or the one-size ankle high Edie. Notify Pepavana as soon as possible by phone or email. Make sure to send it back via a registered courier and within 14 days after you received the item. Do send it in the original package with tags attached. We only accept our products in a clean, unused and undamaged state. Fit the piece quickly before returning your purchase. As soon as we have received the item in good order, we will pay you the sum of your purchase within one week. So you can always get your money back. Additionally, returns should be shipped with a service that provides a tracking number and insurance as we are not responsible for delayed or lost packages. Any returns received that do not comply with the above may be denied at the discretion of Pepavana. Note that costs for sending back your purchase to Pepavana are at your own expense. We offer you the possibility to return the purchase personally at our studio. Make an appointment by calling +31(0)641637798 or email to info@pepavana.com. Exception for return are the items of different sizes and colours. They are all custom made or made to order because we do not want to waste material and goods. This exception for returns counts for all medium, knee-high and over the knee gaiters and other custom made items. Products on sale can neither be returned or exchanged. Product information before you buy. Pepavana takes a lot of effort to provide product information. We offer free fabric samples in our webshop. And you can always drop me a line with your questions beforehand. By email or by Live Chat here or on the product Page. Pepa will answer your questions personally. The gaiters have a length of 38 cm. It is normal that they reach a couple of centimeters below the knee. Measure your calf accurately and choose the corresponding size from the menu. Keep in mind that if you want to wear the Pepavanas over (skinny) jeans or other garments, to wear it when you take your measurements. If you need help or advise, please call +31641637798. calf size 33-34 = XS, calf size 35-36 = S, calf size 37-38 = M, calf size 39-40 = L, all other sizes choose Custom Made. Pepavanas are designed for high heels. Edie & Jennifer for >10 cm heels and Jane & Francoise for 7-10 cm heels. You might like it a little bit lower, and that is possible for the models Jane and Francoise! We have two heel heights options. If that is not sufficient, then choose ‘custom made’ from the webshop menu. When your calf size is not on the menu or the length of the gaiter does not fit your legs, after ordering, we will contact you because we need extra information from you to make you a custom-made pair. Note that gaiters designed for lower heels have a different appearance than the designs showed on the website, due to the position of the foot. Any questions? Don’t hesitate to contact me. We will not refund custom made products. Truck Tarp Worker Bags Man and women can order a Worker Bag especially made according to their wishes and needs. This means that the bags are custom made and therefore they cannot be returned after an order is placed. We start composing from a basic square bag model. You can choose colour, size shape & ingredients. 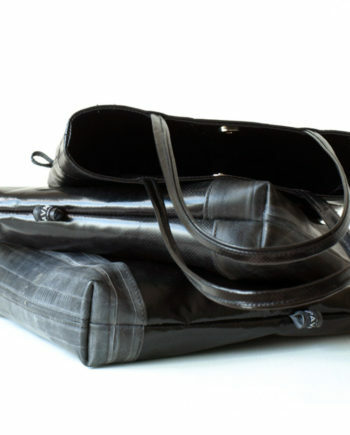 We offer the following options: main compartment, different handles, outer harmonica pockets, integrated inner wallet, a sleeve on the back, inner compartment for laptop, iPad, phone or bottle, key cord etcetera. According to your Bag Wishes, we will calculate the expected costs. After your approval, we start with the design and production of your Worker Bag. 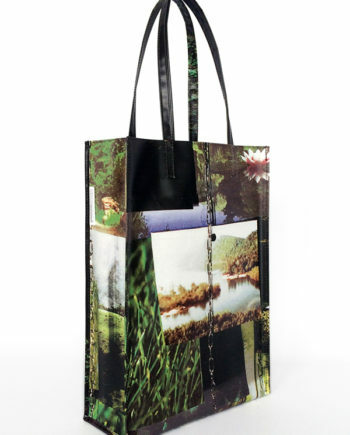 Ask for a custom-made bag in the webshop or make an appointment for a studio visit. We make our Truck Tarp Bags to last for a long time. The bags can carry heavy weights without crashing. Signs of use will appear eventually, but for any other problem, we are happy to think about a solution. We offer 1 free Bag Scan for minor adjustments or repairs! We want to help out where we can if you need a wool-felt-accessory for special shoes. 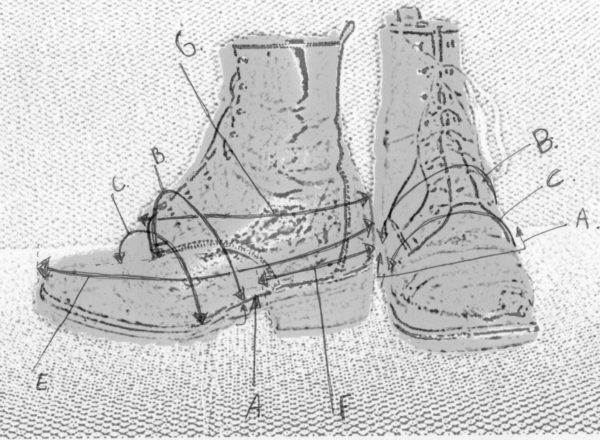 We have experience in designing gaiters for orthopaedic shoes. Contact Pepa, and we will explain the procedure and the costs. What about cleaning en storage of my goods? Keep the wool felt accessory separated by wrapping it in tissue paper. The select box that came with it keeps it clean and safe. The natural wool felt is water and dirt repellent. Even with hand wash, shrinkage may occur, and due to that, the look of the fabric changes a little. We recommend following the advice of the dry cleaner in case you need to clean your wool felt item. The Mini Shopper Bags are all pre-washed. How to wash and iron your wool felt item. Wash it by hand quickly to prevent colour bleed from the leather handles or sole straps to the felt. Rinse it thoroughly. You may use the centrifuge and then model the item and let it dry horizontal on a towel or sweater rack. Iron on a low temperature with a damp cloth or flannel to protect the wool felt. These items were already felted by Pepa to get that unique look they have. As a result of that treatment, these products are all pre-shrunk. Wash the blanket item by hand but don’t let it soak. Handle as described in the previous paragraph. To get a perfect fit, model it to your head or legs by wearing it while still damp. You can remodel the blanket items time after time. You can quickly clean your Truck Tarp Bag with water and soap. Do not use cleaner or degreaser on the rubber parts. Otherwise, the rubber will cause stains on your clothes. We accept all kind of payment methods in our webshop. You can choose IDEAL, Paypal Check Out, Creditcard and more. For custom made orders and assignments, we will send you an invoice by email. Payments can be made to Pepavana Rotterdam using our IBAN NL41 KNAB 0255 0084 81 and if required BIC KNABNL2H.